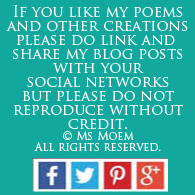 english poem Archives | Ms Moem | Poems. Life. Etc. A real friend feels good for the soul. You never need a break. Who only knows how to take. 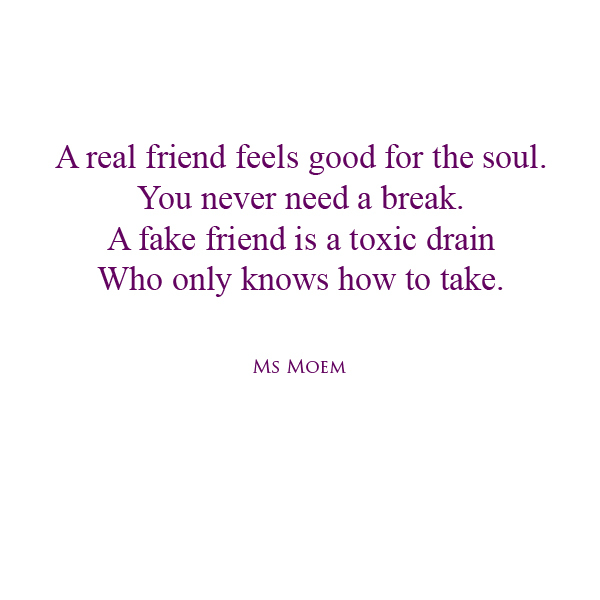 Fake To Take is a short poem about fake friends by English poet, Ms Moem. You were the poem that got lost. Lines crossed and meter not quite right. Some lines were more memorable than others. Still, you never left me. I am every star and butterfly. I’m rainbows painted in the sky. I am every memory you recall. I am comfort. That is all. 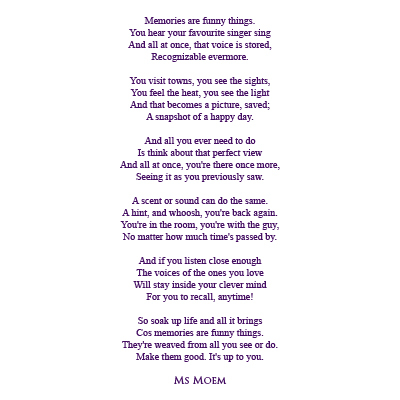 Comfort is a short poem by Ms Moem. Don’t take your demons’ view. Will lead the life you do. And silence all his chatter. 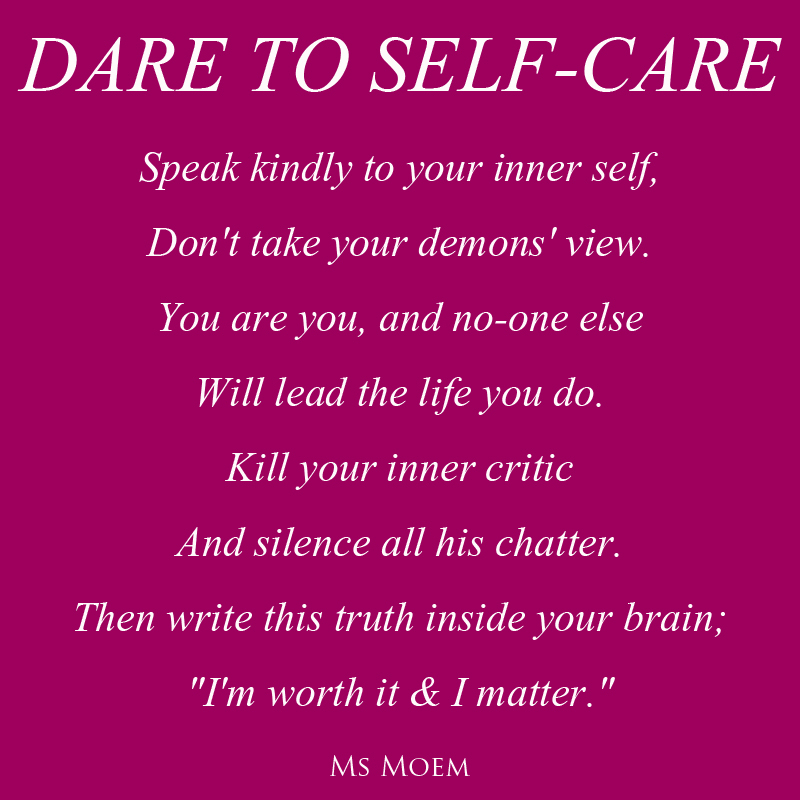 Dare To Self-Care is a short affirmative poem about confidence and self-care by English poet Ms Moem. To now be a star? Than I have for a while. The years are flying by. I still miss you so much. 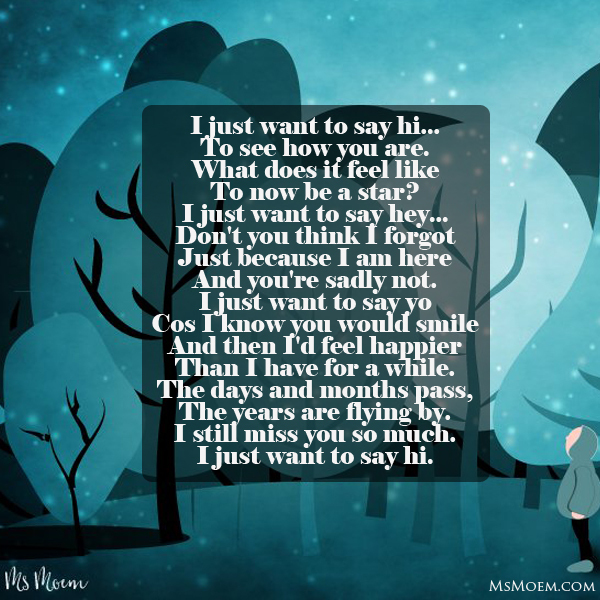 I Just Want To Say Hi is a short poem about missing someone, written by English poet Ms Moem. Simply surrender to the flow. And then decide on your next move. 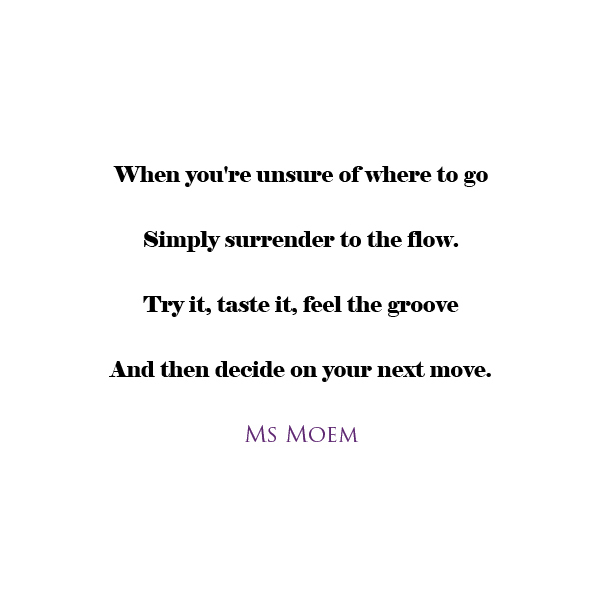 Surrender To The Flow is a short poem by English poet, Ms Moem. Someone who fits me better. 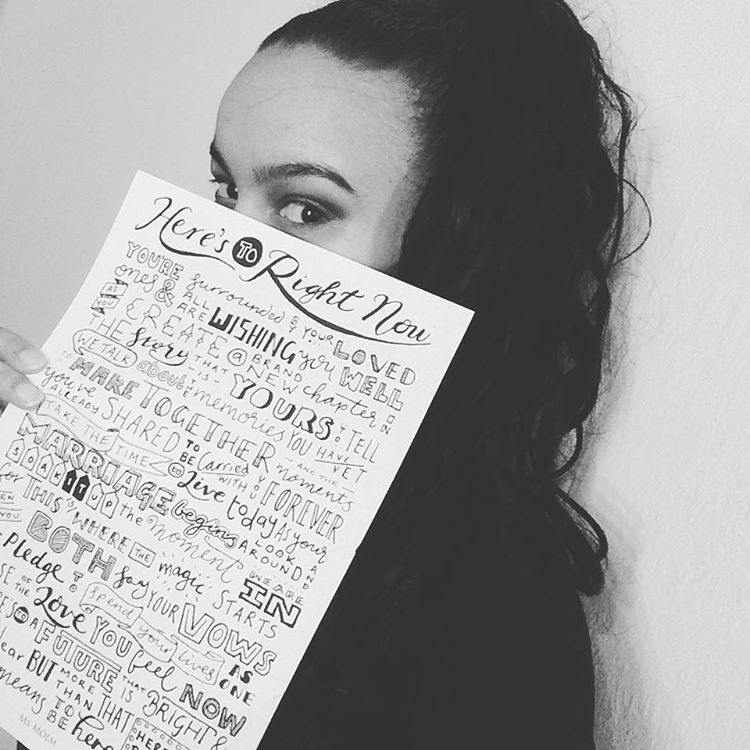 Was answered to the letter. I hope that you feel just the same. I think I know you do. And now it’s coming true. And you’re all I ever will. I see more that I like. Feel sunny, warm and bright. 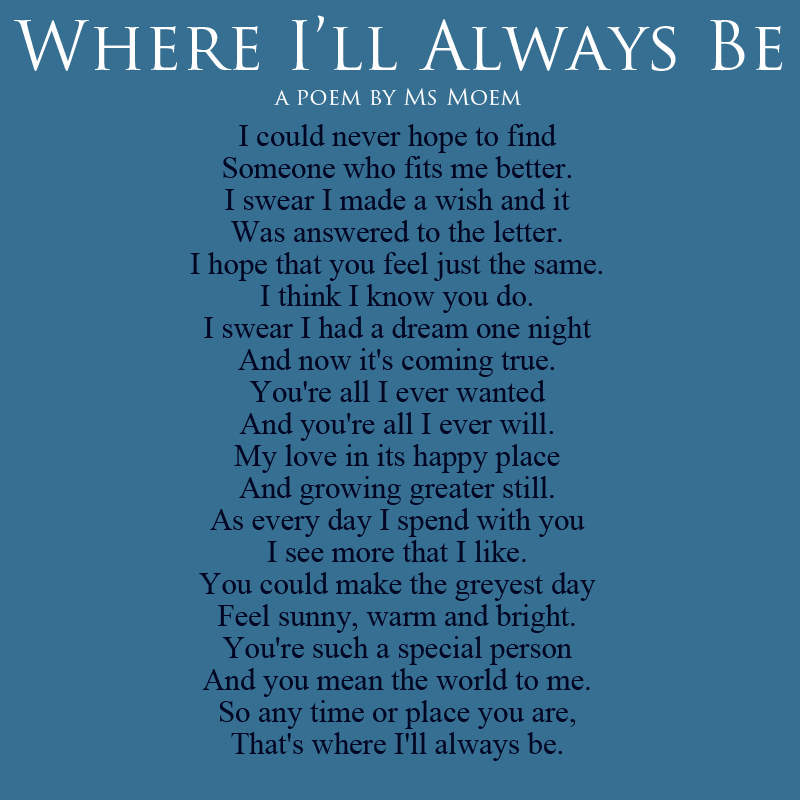 Where I’ll Always Be is a short poem by Ms Moem. 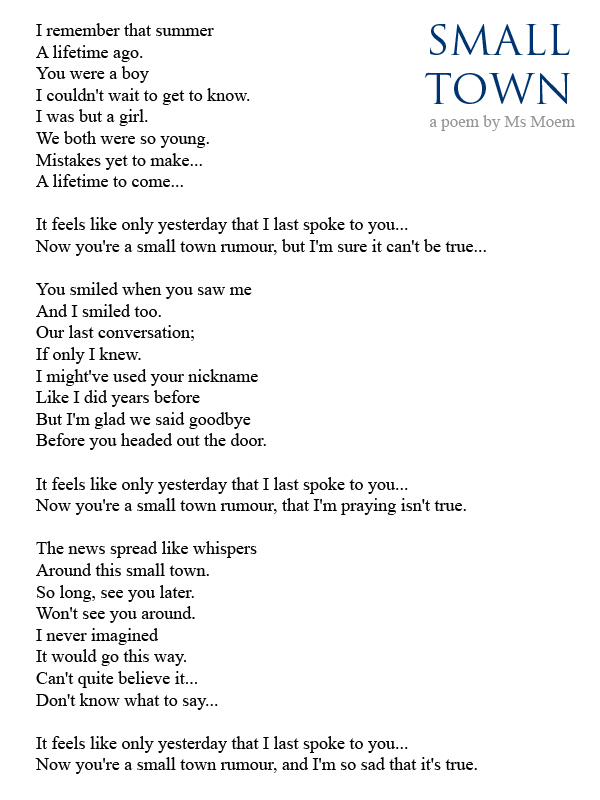 You are free to use this wedding poem at your wedding. I love that! Or this pretty pink version! 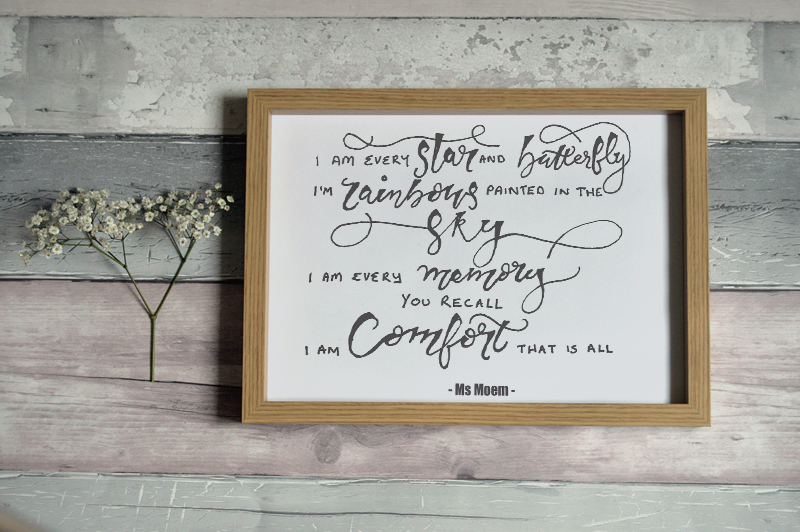 Would make a beautiful wedding keepsake to either frame and display on your wall, or to have inside your wedding album. 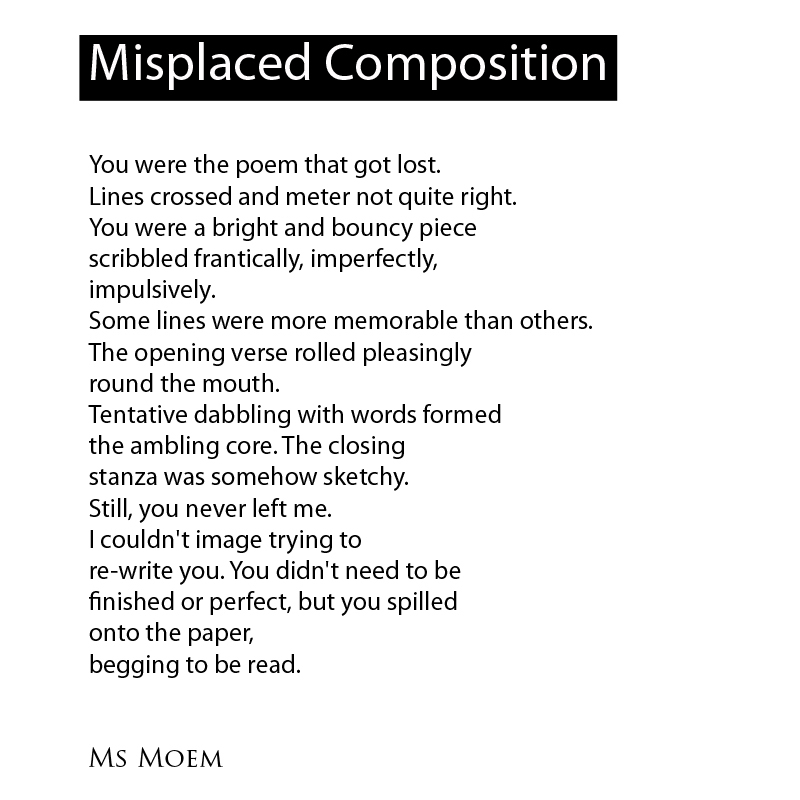 If you like this poem, you might also like some of my other wedding poems. Please do feel free to use any of my wedding poems as part of your own wedding celebrations. However, I would love it if you would drop me a line to let me know when and where. 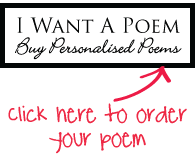 My poems have been used as wedding readings at weddings all over the world; from Dubai to Canada, Great Britain to New Zealand, America to Australia! It really makes me happy to think that I get the privilege of contributing a little something to the happiest days of people’s lives. Alternatively, if you have a different wedding theme or another idea in mind, I can create a custom wedding poem, exclusively for you. You might know him as the moon. Until we meet each bright new day. 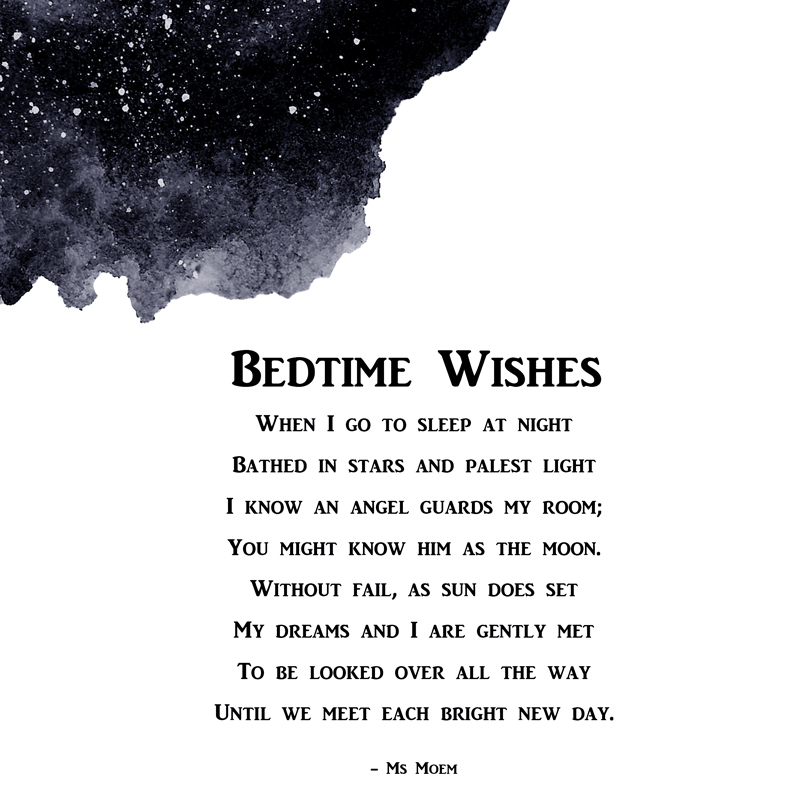 Bedtime Wishes is a short rhyming poem for children, copyright Ms Moem.